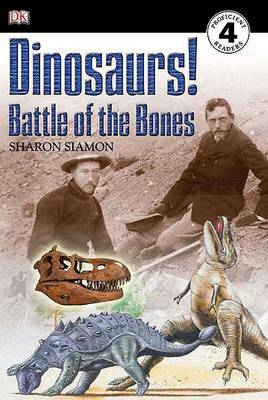 Advanced readers will love this fascinating book about the discovery of ancient dinosaurs. Follow the story of the rivalry between famous paleontologists and the incredible fossils they unearthed in Dinosaur Valley. Find out who won the Battle of the Bones! Stunning photographs c... read full description below. Advanced readers will love this fascinating book about the discovery of ancient dinosaurs. Follow the story of the rivalry between famous paleontologists and the incredible fossils they unearthed in Dinosaur Valley. Find out who won the Battle of the Bones! Stunning photographs combine with lively illustrations and engaging, age-appropriate stories in DK Readers, a multilevel reading program guaranteed to capture children's interest while developing their reading skills and general knowledge. With DK Readers, children will learn to read--then read to learn!